Does creating email newsletters wear you out? Do you find it difficult to constantly be looking for stories and updates? If so, then you’re going to want to read this post. Nonprofits need to send email messages more often to their community of support. Email is an extremely powerful way to build an engaged community of support. But if you are only ever sending out e-newsletter bombs on a monthly or quarterly basis, then you’ll never effectively engage them. In order to really maximize the effectiveness of email marketing, nonprofits have to email more often. See, I said you wouldn’t like it…But hold on. Now that I’ve told you the bad news, let me tell you the good news. I know a great way to write more email messages to your community of support that will actually REDUCE the amount of time you spend creating email messages. Yep. Let me show you how it’s done. Nonprofits are stuck in the e-newsletter bomb arms race. And this is bad for everybody. E-newsletter bombs get dropped in my inbox every day. Massive emails with two dozen links and 8 different articles. Do you think I’m going to read all of that? Is anybody? You just spent tons of time collecting stories, drafting and re-drafting articles, proofing, editing, layout, etc., etc., and most of it is never going to be read. Sure, maybe they’ll skim the headlines. They might even read one full article. But what about the other 7 articles? What a waste of time! So much energy and effort. Sweat and tears. All for nought. Why do we put so much time and effort into a broken model? Well, sorry, but now you’re knee deep in it. I’m going to show you a much better way and then you’ll really have no excuse. 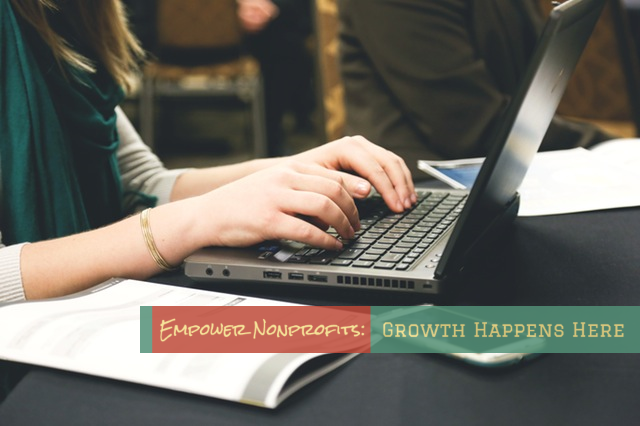 Especially when you see this new paradigm of nonprofit email marketing takes less time to create, allows you to email your list more often, is better at engaging and directing the actions of your community, and saves you time to work on other important tasks. If e-newsletter bombs are the problem then the first step is to put an end to them. And what I mean by that is simple. Dismantle your e-newsletter so that each piece stands alone. If you currently send a monthly e-newsletter made up of four separate stories then break each of those stories out into a separate email. Boom. Just like that, you’ve now turned one email into four and it required no more work than your monthly newsletter. If your monthly newsletter contained 6 stories, then now you have 6 weeks worth of emails and you will have LESS work to do in the future because your one e-newsletter has now lasted 6 weeks instead of only 4. There’s a very simple way to send a lot more email to your subscribers while at the same time putting in a lot less work into writing email. Take each of your stories from your e-newsletter, and instead of making each story one stand-alone email message, let’s break them up into two parts. Find a moment of high tension in the story and then STOP. Tell your subscriber you’ll finish the story in your next email. This works extremely well. They’re going to WANT to know how the story ends. It will drive them crazy, in a good way. And now people actually WANT to receive your next email. Guess what this does to open rates? Oh, and you’ve also just turned your 4 stories into 8 weeks worth of emails. And if you had 6 stories, well guess what? You’ve just created an entire quarter’s worth of email messages for your subscribers. People are often skeptical when I explain this approach to nonprofit email marketing…till they try it. I had one client, Keith, who decided to test this on a very small group. He only emailed four people. He took one story and broke into into two email messages. He told them that he’d be in touch tomorrow with the rest of the story. Well, before the second email even went out he had people replying, begging him to tell them the rest of story. They couldn’t wait. Simply by not telling the whole story, and then teasing that he would finish the story later he successfully built anticipation for his email. Oh yeah, and after emailing just these four people in this way, he raised over $3,000. I think it is safe the say that Keith is now a believer. People read more of your content when you send shorter emails. You have more opportunities to give one clear call-to-action when you send more email. You get more replies from your subscribers (i.e., engagements) when you serialize your stories. You raise more money for your cause when you stay top-of-mind by emailing great content regularly. If you’re interested in learning more about how to revolutionize your email marketing, sign up to my email list and check out my online course: ENGAGE: Nonprofit Email Marketing.